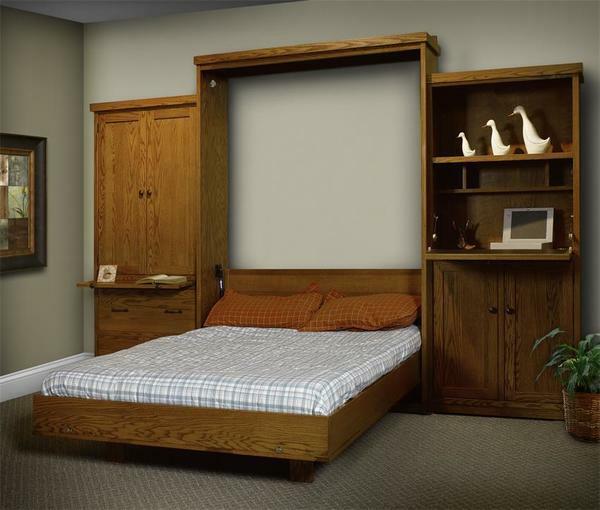 This Amish murphy wall bed ships unassembled and can be easily moved. The unit is made to be mounted to the wall so it will not leave damage to your floor or holes in your carpet. Since the bed is wall mounted you will need to have several holes in your wall for the wall mounting mechanisms. Note our standard option on this our bed is with with veneer sides to avoid splitting, warping and related concerns that similiar hardwood sides are prone to encounter. If you prefer to have solid hardwood sides please select this option for the upgrade.